You’ve probably seen the joy on a dog’s face during a car ride. They stick their head out the window, tongue hanging in the breeze, nose catching all the exciting new smells. 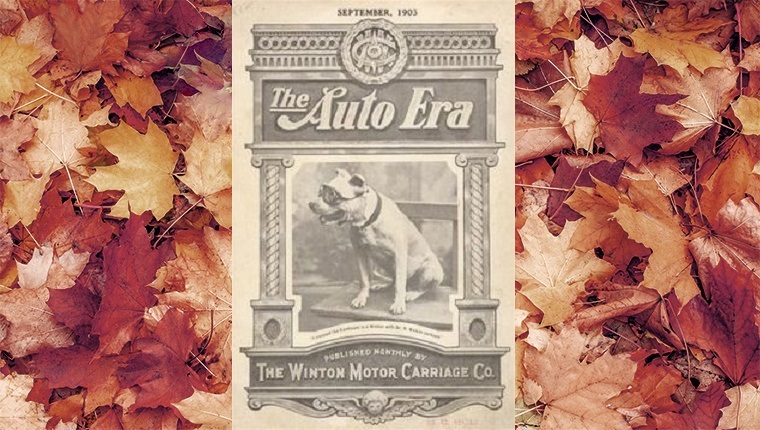 But do you know who was the first dog to ever ride across the country and experience the United States from a car seat? It was a Pit Bull named Bud. In 1903, a doctor named Horatio Nelson Jackson made a $50 bet with his wife while they were having a few drinks. Mrs. Jackson said there was no way a car could make it across the country. 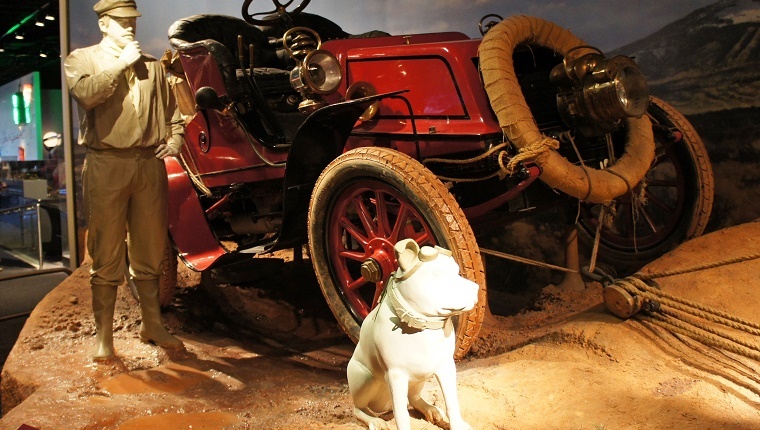 Keep in mind, at the time automobiles were still new. A few rich people owned them, and while roads were paved in major cities, most of the country still got around by foot or horse, or if you had to go far, by train or ship. Horatio Jackson took that bet. He had 90 days to make it by car from San Francisco to New York. For comparison, a train at the time could cross the US in three and a half days. 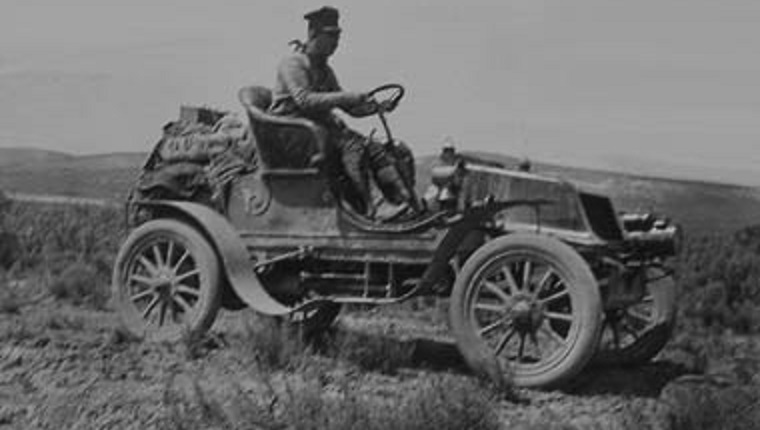 He hired a mechanic named Sewall Crocker, a mechanic, to travel with him and set out. Rather than heading directly east through the dangerous desert of California, they went north toward Oregon, then east to Idaho and the rest of the country. But something was missing. As early as Sacramento, Jackson was looking for a dog to join the trip. And why not? Man’s best friend would certainly make a great traveling companion. Well in Idaho, he found Bud. They had driven a few miles one day when Jackson realized he’d forgotten his coat at the hotel that morning. On the way back, a man asked Jackson if he would like a dog for a mascot. Jackson gave the man $15, and Bud joined the crew. 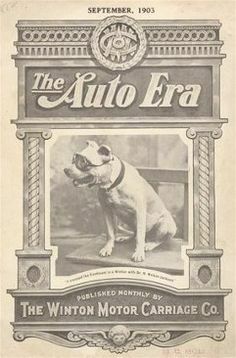 Newspapers sensationalized Bud as they followed Jackson’s trip, saying that Bud had been rescued from a dog fight or that he’d been a stray that chased the car for two miles before Jackson took him in. Bud, like almost every other dog who would take a car ride after him, loved traveling with the wind in his fur. 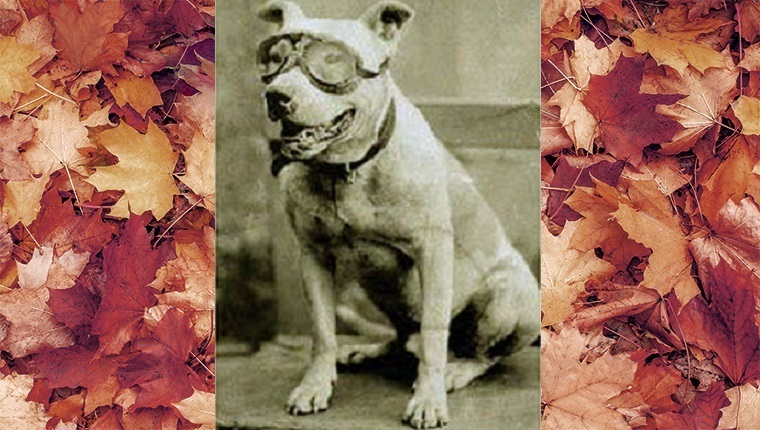 He was especially happy when Jackson put a pair of goggles on him to keep the debris from the dusty roads from stinging the pup’s eyes. But he even learned to watch the road and brace for bumps and turns, which were a lot more harsh back in those days. The friends wound their way through dirt roads and open prairies, struggling through faulty directions and broken car parts that had to be replaced by shipping them from the Winton company to their location by train. Finally, they made it to New York on the 63rd day of their journey. Jackson never collected his winnings from his wife. It wouldn’t have mattered, as the trip had cost over $8,000. It was an expensive and long trip, but it was the first. As for Bud, he lived a long and happy life with his loving owner. He never took such a long car ride again, but he was happy to join Jackson on shorter trips around his hometown of Burlington. After his death, the Jacksons always kept at least one dog in their house, and occasionally in their car. Do you love learning about dogs in history? Does your dog love long car rides? Let us know in the comments below!